They are found all over the world. They live anywhere there is rotting fruits and vegetables. They are very small, only1/8 inch long. 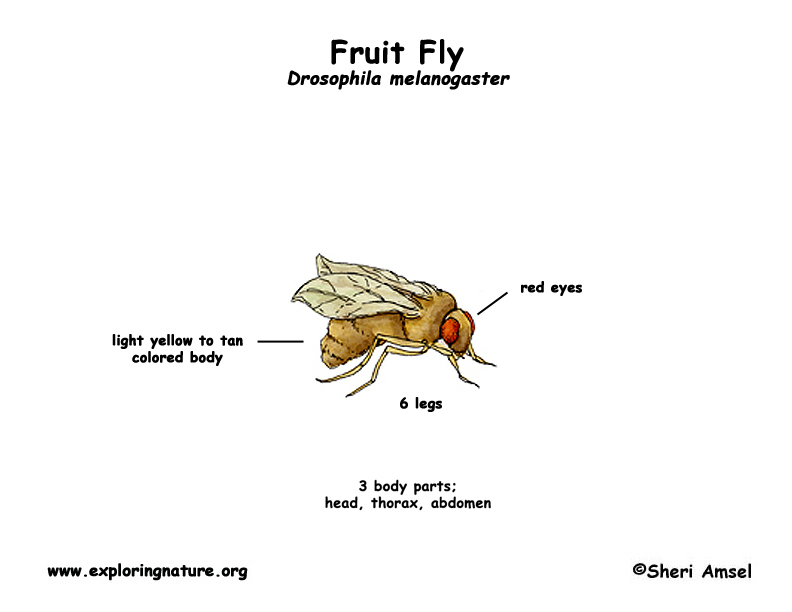 Their body is usually a light yellow to tan color with a darker bottom half (abdomen). They have a feathery bristle on their antenna and red eyes. 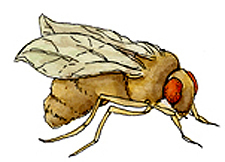 They fly around garbage cans or kitchen fruits and vegetables. They are weak flyers. They eat rotting fruits and vegetables. Females lay eggs in rotten food, animal feces or garbage and hatching maggots start eating!